1740.00 sqft. - 2800.00 sqft. Offering you dream homes, Avigna Celeste is the epitome of luxury. Located at a place that lets you dwell in the splendid natureâ€™s best, this project is indeed an ideal abode. Radiating timeless perfection, this residency offers homes of purity and abundance. Its modern features and contemporary amenities will surely uplift your spirit and never let there be a dull moment in your life. Meticulously planned to let you experience utmost comfort and convenience, this tower is crafted to perfection. Soak in the lavishness of these enclaves and bring home umpteen happiness, joy and contentment. · Solid Block/ Brick / Equivalent with cement mortar plastering. · Main Door - Teak Wood outer frame and Teakwood panelled Shutter with polish. · Windows - UPVC Windows and Safety grills. · Walls and Ceiling cement based putty and emulsion paint. · Exterior aesthetically finished exteriors with weather coat paint. · Concealed wiring system (Finolex / Polycab / Equivalent) Modular switches from Panasonic/ Mk /Equivalent or any ISI Branded. · MCB (Mini Circuit Breakers) and ELCB (Earth Leakage Circuit Breakers Systems, Television and Telephone cable provision in Living /Bedroom. · Split AC Points in Hall and all bed rooms and Geycer Point in all toilets. · Inverter Connection provisions in all rooms. Living 1 fan, 1 light & 1 Plug / Solar Power System. · Compound Wall- Overall Compound wall throughout site and compound wall for the Individual Villa. 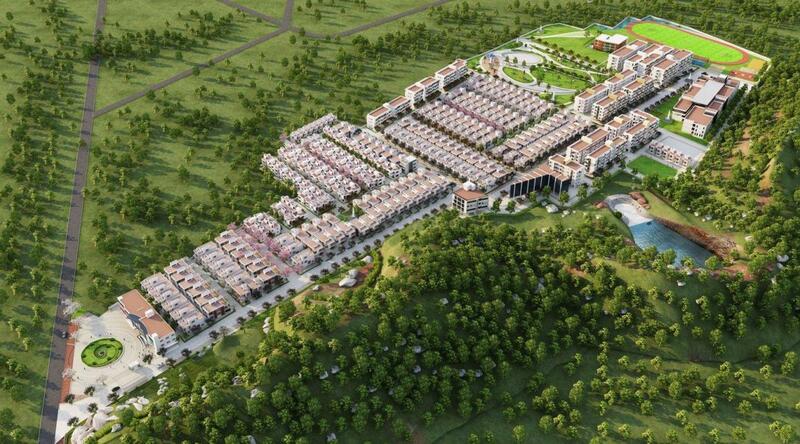 Located strategically on National Highway-45 and spread across 1550 acres, surrounded by rolling hills, a reserve forest and natural lakes, Mahindra World City is planned in complete harmony with nature. Situated in a fast expanding industrial hub, the City is well connected by road and rail. Paranur Railway Station on–site provides easy access to safe and cost effective rail transport including suburban commuter services. Chennai International Airport is located at brief driving distance. Promoted in a Public Private Partnership by the Mahindra Group and TIDCO (A Govt. 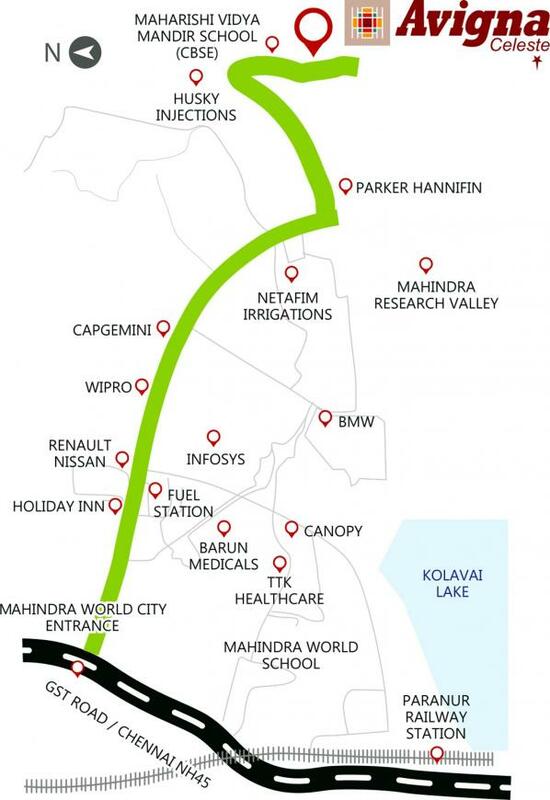 of Tamil Nadu Undertaking), Mahindra World City surpasses the conventional definition of a business space - it is a business eco-system, carefully linked and integrated to function with efficiency. Mahindra World City, Chennai is India’s first integrated City and Corporate India’s first operational SEZ thus attracting various working professionals to settle in and around this locale. Several engineering colleges, educational and technical institutions located along this corridor provide access to high quality resources. The prominent Maharishi Vidya Mandir School (CBSE) and Health Care (Multi Specialty Hospital) is located in the vicinity. Kolavalai Lake in its close proximity provides soothing ambiance to its residents. With excellent living spaces, amidst clean, green, natural environs, the locality has been built and designed with one simple aim - to make life better for its residents. The ethos of Mahindra World City has been creation of a holistic ecosystem which not only nourishes business but also makes quality living inside the city a reality. 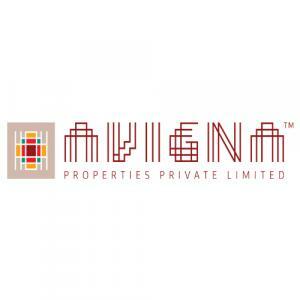 Avigna Properties is an established a name in the real estate business. Developers have put in many years of hard work, dedication and commitments in branding themselves. They have marvelously carved structures in the past and have succeeded in providing good quality work to every clients. Developers believe in immense hard work, quality work and dedication all throughout every project taken by them. The company is constantly working hard in bringing the best project at prime location to fulfill the need of residents.